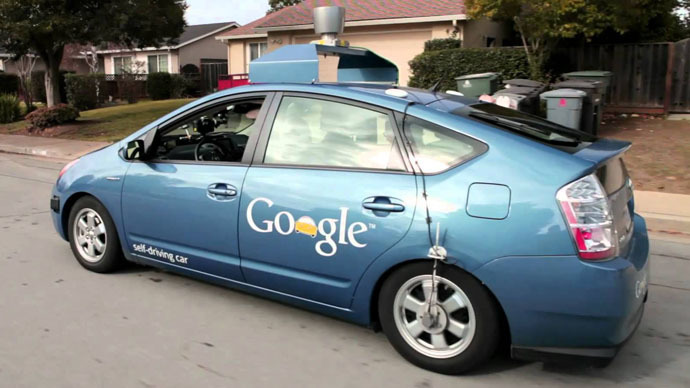 Google to drive wedge into Uber’s car ambitions? The world of high-tech and urban transportation was shaken up when a Bloomberg report alleged the biggest investor in the Uber taxi service – Google – was aggressively pulling out to pursue its own taxi dreams. A cryptic tweet from Google followed. Uber has faced a number of peculiar challenges since its inception, despite the overwhelming ease of use and the popularity the ride-sharing service has garnered. The company, with branches in over 200 cities worldwide, just couldn’t seem to get a break – be it from the recent embarrassments of its drivers being complete weirdoes or rapists, to accusations of its aggressive expansion and skirting of local laws – there’s plenty to pick from. But for a brief moment on February 3, many might have thought that a truly strong blow was dealt to the smartphone taxi app: Google – its biggest backer, having donated $258 million in 2013 – was pulling out. That’s according to a Bloomberg exclusive, which apparently misfired. The news source alleged that Google Venture, the investor, had had enough of Uber, and as it prepared to launch its driverless car technology, it was also preparing to branch off into its own ride-sharing market. According to a source close to the Uber board of directors, Google’s chief legal officer David Drummond informed Uber of this. One thing allegedly led to another, and Uber was rumored to be considering kicking Drummond of its own board of directors. Then there were reportedly screenshots of Google’s alleged new service and talk of private meetings, as well as the quite real announcement that Uber was teaming up with Carnegie Mellon University to build a new facility and research its very own driverless car technology – which surfaced on the same day as the mysterious allegations of the split from Google. "As a global leader in urban transportation, we have the unique opportunity to invest in leading edge technologies to enable the safe and efficient movement of people and things at giant scale," the press release read. "This collaboration and the creation of the Uber Advanced Technologies Center represent an important investment in building for the long term of Uber." Whatever happens to the company, it’s still worth over $40 billion. The persisting problems relate mainly to competitors and allegations of expansionist policies and other legal matters. Some, according to AFP, have called it a “disruptive” economic force, with many in the 54 countries where it operates seeking to shut it down on various grounds. The French decided to ban Uber’s smartphone app in 2015, although the service would still be operational. The country’s cabbies complain the service represents unfair competition, especially when it comes to paying taxes, as well as Uber providing cheaper fares. Similar concerns were voiced in Spain, as “Drivers who transport people for payment without a licence are breaking the law,” stated a decision from the Hague-based Trade and Industry Appeals Tribunal.